Work on new bridges to replace the 132 year-old two single lane bridges (256m and 140m long) across the Waitaki River on SH82 at Kurow started in March 2013. The first of new bridges on the Kurow side of the river opened in April 2014 followed in early June, by the second new bridge on the Hakataramea side of the river. The entire project including the removal of the old bridges, is expected to be completed in late 2014. 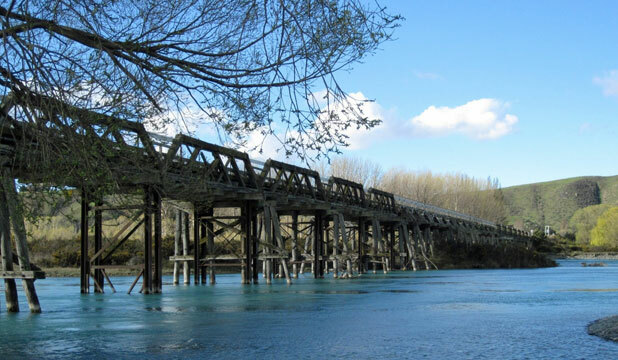 These bridges will greatly improve route security along SH82 between Kurow and Waimate and protect a vital link between Kurow and the Hakataramea Valley, which has existed since the current bridges opened in 1881. Trusted Weka SG8 and Weka No.1 products were supplied through one of our Approved Resellers in Oamaru and Timaru working with the main contractor Downer. Not only does the replacement bridges enable local people to walk or cycle safely between the two communities but it also supports the tourism industry by providing a safe passageway for cyclists who want to visit the Waitaki Valley and stay a little longer to enjoy its hospitality.